Painter Eliot Candee Clark won critical acclaim for his work at a very early age, and his landscapes continued to receive recognition throughout his long career. Clark was also active as a teacher, art historian and officer in various art organizations. 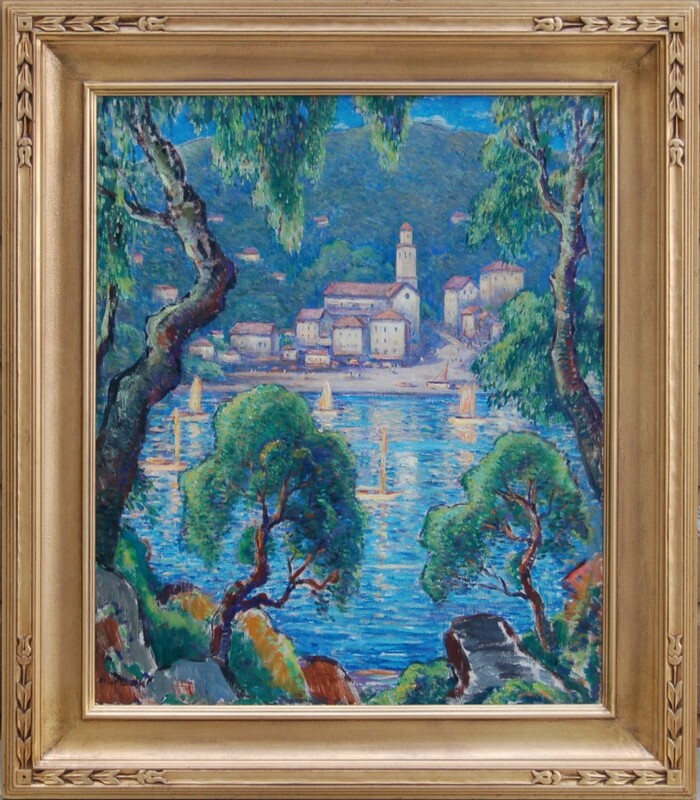 The artist was born in 1883, the son of landscape painter Walter Clark. By age nine, Clark was exhibiting with the New York Water Color Club; at thirteen his work was hung in the National Academy of Design. He was greatly influenced by family friend John Henry Twachtman with whom he studied at the Art Students League. Between 1904 and 1906 Clark studied and traveled in Paris, Giverny, London, Venice, Madrid, and Toledo. 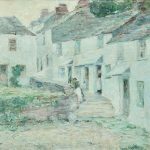 He returned to the United States in 1906 and continued to paint, showing the influence of James McNeill Whistler, whose work he had seen in London. His own work became increasingly impressionistic. In 1926 and again in 1935, Clark painted in the Southwest. 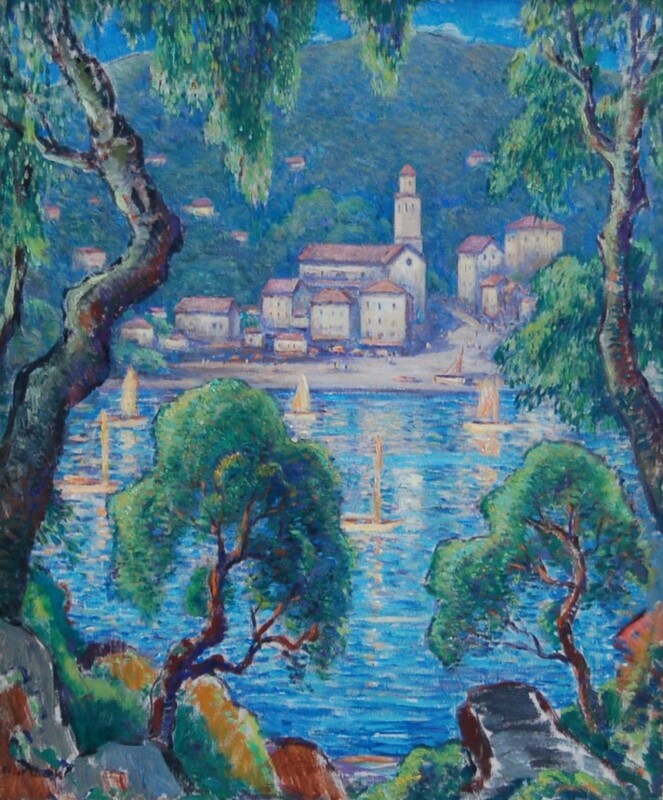 He traveled to India for two years in 1937, and there executed views of the Himalayas and of Indian scenes, such as Lake Palace, Udaipur, India (1938, location unknown). 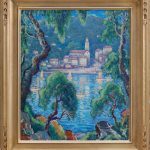 He exhibited widely — at the National Academy of Design, the Salmagundi Club, the American Water Color Society and elsewhere. Woodrow Wilson purchased a painting by Clark entitled Rolling Hills (alternate title, Rolling Country, location unknown) during his presidency. Clark began writing early in his career. He published biographies of four late 19th century American artists: Alexander Wyant (1916), John Henry Twachtman (1924), J. Francis Murphy (1927) and Theodore Robinson (1979). In addition to many essays and art reviews, he wrote a history of the National Academy of Design (1954). Clark taught painting at several institutions, including the Art Students League and also lectured frequently on art. His later landscapes show a movement away from impressionism toward a more realistic treatment. He died in New York City in 1980. Eliot Clark is represented in the Dayton Museum, Ohio; the Fort Worth Museum, Texas; the Maryland Institute, College of Art, Baltimore; the Metropolitan Museum of Art, New York; the National Academy of Design, New York; the Smithsonian Institution, Washington, D.C.; and in many other public and private collections.